Hi my readers and friends .. lovely to see you. Hope you're all having a wonderful start to your weekend! Today I'd like to show you a card i made for my dear friend. This sweet image is one of the sweet Tildas from the new Magnolias stamp collection, Once Upon A Time Collection 2013 called "Mini Sweet Pea Tilda". 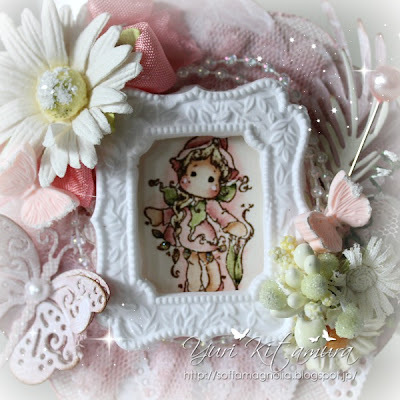 She is wearing a lovely sweet pea dress!! Wow sooooo cute!!! Stamps: Mini Sweet Pea Tilda - Magnolia. Colouring: Distress Markers, Distress ink pads. Medium: Liquid pearl white, Stardust stickles, White gesso. 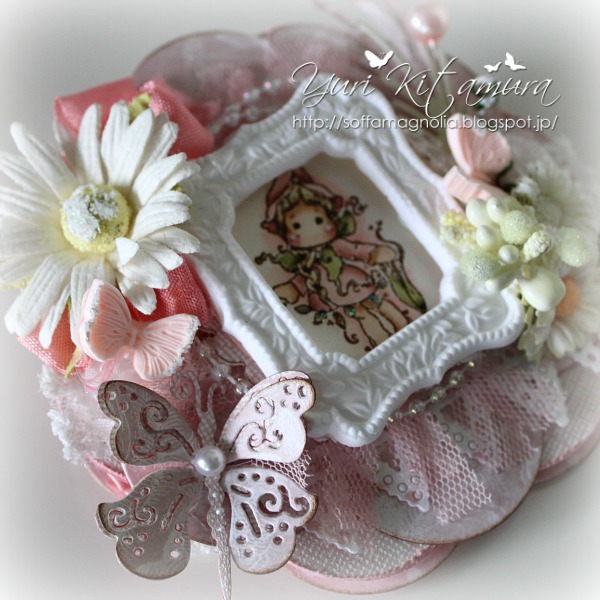 Die: DooHickeys Vintage box lacing sugar, Sprawling Ferns, Swirly Butterfly - Magnolia, Large Frame Flower #1 - GoKreate. 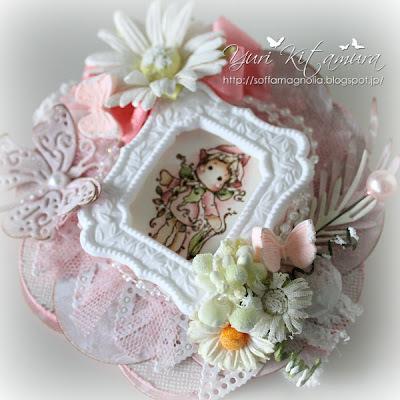 Embellishment: Berries - Magnolia, Ribbon - WOC, Chrysanthemums - Kort & Godt, Trinket pin, Tu-Tu Tulle Trim - Maya Road, Vintage Lace - Marianne Design, Rose lace, Beads Trim, Half pearl. btw, have you looked at Magnolia Japan Facebook page? It has SO VERY WONDERFUL information, so why don't you all go check it out! 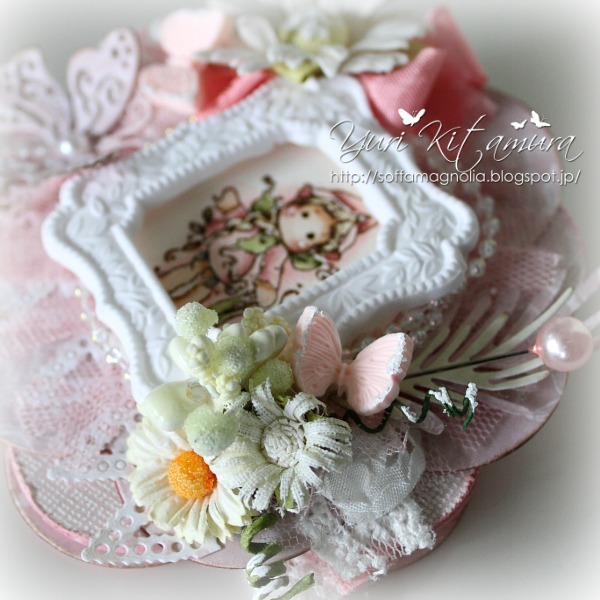 Thank you so much for dropping by, I'm very grateful for all your visits and comments!♥ Have a lovely weekend! 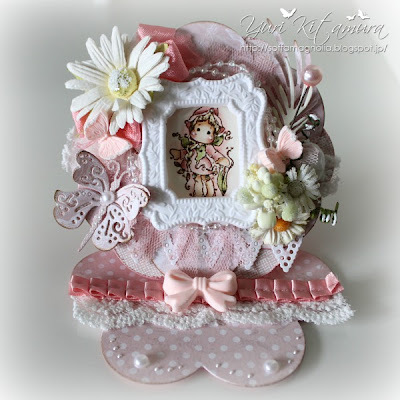 This is absolutely gorgeous Yuri, I like the Tilda the lovely frame and all the detail. I think your friend is going to love this card! It's gorgeous! 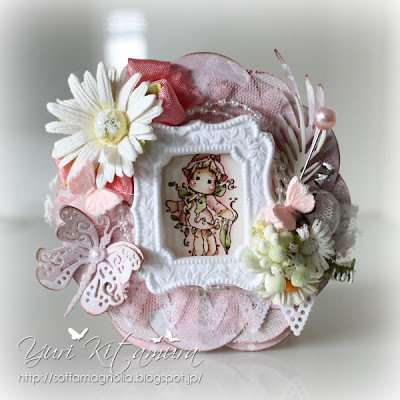 Thanks for joining our Lace Challenge over at ABC Challenges. WOW Yuri this is absolutely gorgeous!! Thanks for joining us at LHOSM Challenge! Good Luck!